It’s no secret that Peppermint is one of my favorite stores. (Just look at my Facebook and Instagram feeds). Cardi, Tee, Kimono, Dress, Scarf, Earrings, Dress, and Fringe Cardi all from Peppermint! Cardi, Poncho, Top, Necklace, Clutch, Scarf, and Buffalo Check Button Down = Peppermint. In short: I love me some Peppermint. The love affair started as soon as they opened their doors and that love has only grown over the years. It is THE place for on-trend, affordable clothing, shoes and accessories – many of which are not only American-made, but made right here in Rochester NY. Of the many local designers and makers they support, you can find: ClaireFlair, Machinator Chaos, Brittany Leigh Jewelry, Josean Vargas, and other’s wares in-store. Shop owner and clothing designer, Tanvi Asher designs all of her pieces right here in Rochester and production is done in Manhattan. Everything with a Peppermint label is Tanvi’s original design. Do you realize how awesome that is? To be able to shop in a small boutique on Park Ave in ROCHESTER and chat it up with the designer of the dress you are trying on!?! This is a big BIG DEAL, people. Get excited! 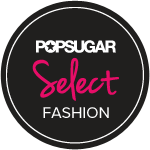 How about the chance to win $25 to spend at Shop Peppermint?! One lucky lady will win a $25 gift card good towards a shopping trip for locals or an online credit for my non-upstate peeps. Click the +1 button for further instructions on each entry. This giveaway will close at midnight on November 16, 2014. The winner will be randomly selected, verified for correct entry participation, and notified by email. This evening of free entertainment, seasonal fun, and “open house” hospitality at more than 80 Park Avenue businesses (including Peppermint) and is the perfect time to visit your favorite spots along this wonderful street while making a few new discoveries. I love Peppermint, yes please! I love shopping at peppermint. I actually discovered the shop through your blog Jenny!! I would love to get the gray open front cardigan sweater, and the black lace and collared dress!! Peppermint is by far my favorite store. Great clothes and I love that there is always new items! I want to win so I can buy the Sheer Glamour Dress! Perfect for the Holidays! Peppermint is a go-to for me for summer dresses – now I see I need to stop in ASAP for some fall finds! Such cute pieces at Peppermint, I gotta get there soon! Seriously my favorite shop, tanvi is awesome!!! I love Peppermint. I am most likely going to crack and get a pair of boots with my next paycheck :0 so cute this year. I love Peppermint! Everything is so cute! If I won I would get the So Knot Stylish necklace! Adorable! i love Peppermint and Jenny, you are so fashionable!!!! I love Peppermint! The All is Swell dress is so gorgeous, although every time I go in intending to buy something specific I end up with an armful of cute finds. Love the cross my heart sweater. The textured long tank and the brunch jacket! Love both of those. Great post!!!! Reminds me to stop in there soon!!!! Would love to take a shopping trip there soon! The Brunch Jacket is calling my name! I do love the Shy Critter scarf!